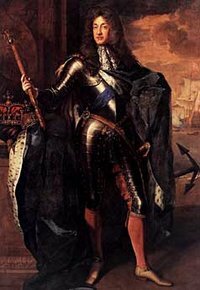 The Glorious Revolution was the overthrow of James II of England in 1688 by a union of Parliamentarians and the Dutch stadtholder William III of Orange-Nassau (William of Orange). It is sometimes called the Bloodless Revolution, although there was fighting and loss of life in Ireland and Scotland; many modern historians prefer the more neutral alternative Revolution of 1688. The revolution is closely tied to the events of the War of the Grand Alliance on mainland Europe, and may be seen as the last successful invasion of England. James's overthrow was an important stage in the evolution of modern English parliamentary democracy; never again would the monarch pretend to hold absolute power and the Bill of Rights became one of the most important documents in the political history of Britain. The deposition of the Roman Catholic James II ended any chance of Catholicism becoming re-established in England, and also led to limited toleration for nonconformist Protestants—it would be some time before they had full political rights. In the case of Catholics, however, it was disastrous both socially and politically. Catholics were denied the right to vote and sit in the Westminster Parliament for over 100 years after this and the monarch was forbidden to be Catholic or marry a Catholic, thus ensuring the Protestant succession. The Glorious Revolution also saw a partnership of husband and wife on the English and Scottish thrones, unusual at the time. James's removal and William and Mary's accession to the throne were generally popular. Before the revolution, Parliament represented the wealthy in their contest with the king, but once the revolution had re-established Parliament's authority, the road opened up to a mature representative democracy. In the centuries that followed, Parliament would become more and more democratic. These events significantly influenced the future development of democracy in the United States. John Locke wrote his 'Two Treatises of Government' to support the Glorious Revolution. From the standpoint of history, this was a move in the right direction—toward human freedom, human rights, and recognition of the equal worth and dignity of all people. During his three-year reign, King James II fell victim to the political battles in England between Catholicism and Protestantism as well as between the divine right of the crown and the political rights of Parliament. James's greatest political problem was his Catholicism, which left him alienated from both parties in Parliament. 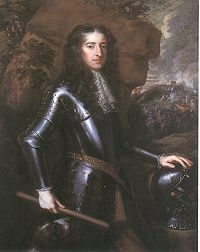 The ultra-Protestant Whigs had failed in their attempt to exclude James from the throne between 1679 and 1681, and James's supporters were the High Church Anglican Tories. When James inherited the throne in 1685, he had much support in the “Loyal Parliament,” which was composed mostly of Tories. James's attempt to relax the penal laws alienated his natural supporters, however, because the Tories viewed this as equivalent to disestablishment of the Church of England. Abandoning the Tories, James looked to form a “King's party” as a counterweight to the Anglican Tories, so in 1687 James supported the policy of religious toleration and issued the Declaration of Indulgence. By allying himself with Catholics, dissenters, and nonconformists (such as Baptists and Congregationalists), James hoped to build a coalition that would lead to Catholic emancipation. In 1686 James coerced the Court of the King's Bench into deciding that the king could dispense with religious restrictions of the Test Acts. James ordered the removal of Henry Compton (1632–1713), the anti-Catholic Bishop of London, who was also a Privy Councilor, and dismissed the Protestant fellows of Magdalen College, Oxford and replaced them with Catholics. James also created a large standing army and employed Catholics in positions of power in the army. To his opponents in Parliament this looked like a prelude to arbitrary rule, so James suspended Parliament without gaining Parliament's consent. At this time, the English regiments of the army were encamped at Hounslow, near the capital. The army in Ireland was purged of Protestants who were replaced with Catholics, and by 1688 James had more than 34,000 men under arms in his three kingdoms. In 1686, a group of conspirators met at Charborough House in Dorset to plan the overthrow of "the tyrant race of Stuarts." In 1688 a further conspiracy was launched at Old Whittington, Derbyshire, to depose James and replace him with his daughter Mary and her husband, William of Orange—both Protestants and both grandchildren of Charles I of England. Before the birth of James's son, Mary was the heir to the throne and William was third in line. William was also stadtholder of the Netherlands, which was then in the early stages of the War of the Grand Alliance (an alliance of various German states and Holland, later joined by England) against France. Jumping at the chance to ally with England, William and Mary laid careful plans over a number of months for an invasion. Landing with a large Dutch army at Brixham, Devon on November 5, 1688, William was greeted with much popular support, and local men joined his army. William's army was primarily defensive; he wanted to land far away from James' army so his English allies could take the initiative in acting against James while he ensured his own protection against potential attacks. William was prepared to wait; he had paid his troops in advance for a three-month campaign. On his banners read the proclamation: "The Liberties of England and the Protestant Religion I will maintain." Meanwhile, in the North, many nobles also declared for William. James' forward forces gathered at Salisbury, and James went to join them on November 19. Amid anti-Catholic rioting in London, it rapidly became apparent that the troops were not eager to fight, and the loyalty of many of James' commanders was doubtful. The first blood was shed at about this time in a skirmish at Wincanton, Somerset, where Royalist troops retreated after defeating a small party of scouts; the total body count on both sides came to about fifteen. In Salisbury, a worried James was suddenly overcome by a serious nose-bleed that he took as an evil omen indicating that he should order his army to retreat. On November 23, John Baron Churchill, one of James's chief commanders, deserted to William. A few days later, James' own daughter, Princess Anne, did the same. Both were serious losses. James returned to London on November 26. By December 4 William's forces were at Salisbury; by December 7 they had reached Hungerford, where they met with the King's Commissioners to negotiate. In reality, by that point James was simply playing for time as he already had decided to flee the country. Convinced that his army was unreliable, he sent orders to disband it. December 10 saw the second engagement between the two sides with the Battle of Reading, a defeat for the king's men. In December there was anti-Catholic rioting in Bristol, Bury St. Edmunds, Hereford, York, Cambridge and Shropshire. On December 9 a Protestant mob stormed Dover Castle, where the Catholic Sir Edward Hales was Governor, and seized it. Upon returning to London on December 16, James was welcomed by cheering crowds. He took heart at this, and attempted to recommence government, even presiding over a meeting of the Privy Council. Then he received a request from William to remove himself from London. James went under Dutch guard to Rochester, Kent on December 18, just as William entered London. James then escaped to France on December 23. The lax guard on James and the decision to allow him so near the coast indicates that William might have hoped that a successful escape would avoid the difficulty of deciding what to do with him, especially with the memory of the execution of Charles I still strong. By fleeing, James helped ensure that William's grip was secure. In 1689, the Convention Parliament convened and declared that James's flight amounted to abdication. William and Mary were offered the throne as joint rulers, an arrangement which they accepted (William demanded the title of king and disdained the office of regent). On February 13, 1689, Mary II and William III jointly acceded the throne of England. Although their succession to the English throne was relatively peaceful, much blood would be shed before William's authority was accepted in Ireland and Scotland. James had cultivated support on the fringes of his three kingdoms—in Catholic Ireland and the Highlands of Scotland. Supporters of James there, known as Jacobites, were prepared to resist what they saw as an illegal coup by force of arms. An uprising occurred in support of James in Scotland in 1689, the first Jacobite rebellion, led by John Graham of Claverhouse known as "Bonnie Dundee," who raised an army from Highland clans. The events of 1688 and their aftermath can thus be seen as much more of a coup d'état achieved by force of arms than an authentic revolution. Many, particularly in Ireland and Scotland continued to see the Stuarts as the legitimate monarchs of the three kingdoms, and there were further Jacobite rebellions in 1715 and 1745 in Scotland. The Glorious Revolution is considered by some to be one of the most important events in the long evolution of powers possessed by the Parliament and by the crown in England. With the passage of the Bill of Rights, any final possibility of a Catholic monarchy was stamped out and moves toward absolute monarchy in the British Isles ended by circumscribing the monarch's powers. The bill is considered to be a cornerstone of the unwritten British constitution. It clearly gave Parliament ultimate authority. The king's powers were greatly restricted; he could no longer suspend laws, levy taxes, or maintain a standing army during peacetime without Parliament's permission. It influenced the U.S. Bill of Rights. Since 1689, England (and later the United Kingdom) has been governed under a system of constitutional monarchy, which has been uninterrupted. Since then, Parliament has gained more and more power, and the crown has progressively lost it. The Bill of Rights is sometimes referred to as “England's Protestant Constitution.” The people of Scotland had expressed their desire for a Protestant state in their Solemn League and Covenant of 1643, which pledged to maintain the reformed (non-Episcopal) Church and to be rid of the pope and prelates. ↑ H. C. Foxcroft, The Life and Letters of Sir George Savile, Marquis of Halifax: Volume II (London, 1898), pp. 203-204. ↑ John Locke, Two Treatises of Government (Cambridge: Cambridge University Press, 1988, ISBN 0521357306), p. 137.